We are a family run, Australian business providing quality Information to Lot Owners and Industry Professionals since 2013. We have answers to all of these questions and more. Do youunits,apartments or town houses? Do you own investmentunits,apartments or town houses? 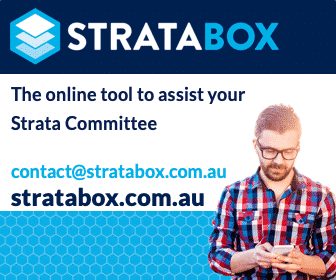 Do you work in or servicethe strata title industry? The site has been developed for strata and supporting industry professionals,lot owners and apartment occupiers. Together we form a growing community of people who are passionate about apartment living. VIC:Do We Really Need Mechanical Breakdown Insurance? Question:Although we don’t have any lifts or elevators just an electronic gate,we have been told we need mechanical breakdown insurance as part of our policy renewal. Receiving a Letter of Denial for an insurance claim isn’t a particularly welcome outcome,especially if you feel the insurance claim should have been covered under the policy. However,a denial letter doesn’t have to be the end of the road for a claim…! Number 5 Most Useful By-law is the Repairs By-law. Why is the Repairs ByLaw needed? What Does it Cover? What are the Pitfalls? From written consent to unauthorised renovations,we take a closer look at this bylaw. Question:Is there legislation which requires owners to cage their air conditioning units on balconies? Our Strata Manager has instructed us to have this done at our cost. Question:Our Body Corporate Committee claims reimbursements for body corporate spending directly from the Body Corporate Manager. Are the expenses valid and have the committee members been following correct approval process? Question:In our self managed strata we have a shared water meter and divide usage between 4 units. One lot owner is refusing to pay their portion. How do we handle this situation?